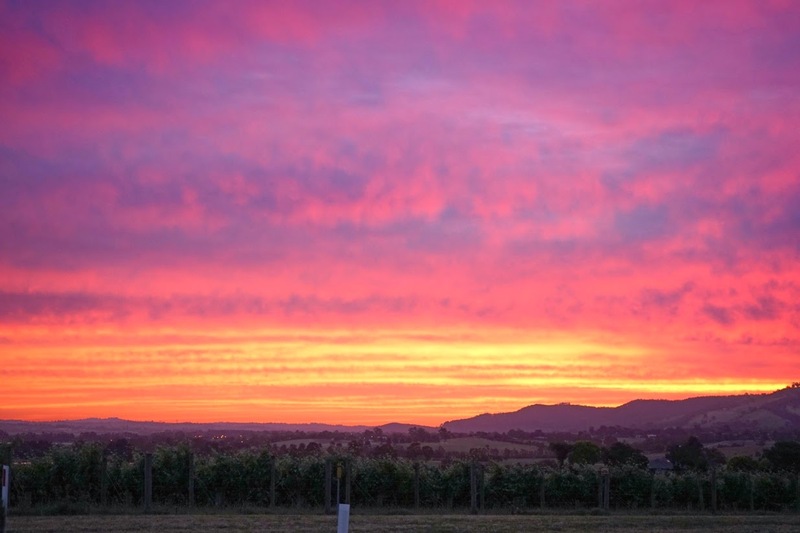 One minute Melbourne is visible in the rear-view mirror, the next you’re surrounded by vines. It's as if you set cruise control moments ago and yet the Eastlink has turned into picturesque country roads bordered by blue mountains that melt into the horizon. 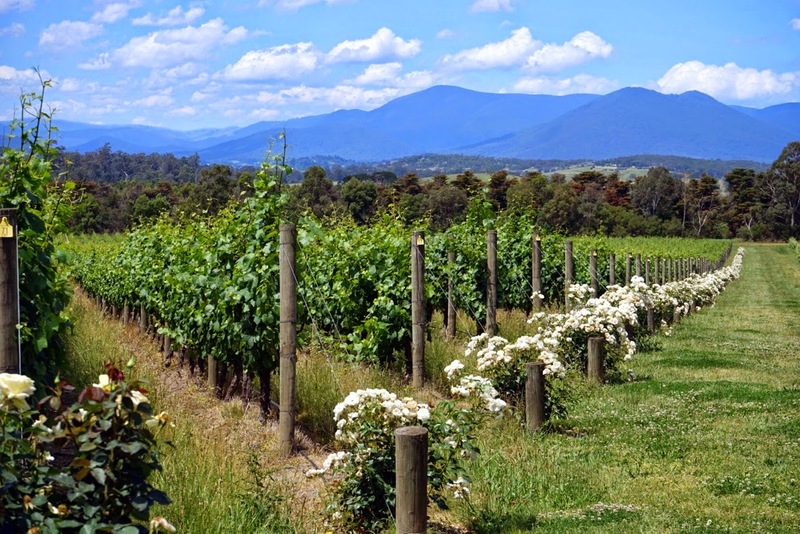 Welcome to the Yarra Valley, a stunning region just an hour out of Melbourne known for its cool-climate wines, produce and walking tracks. 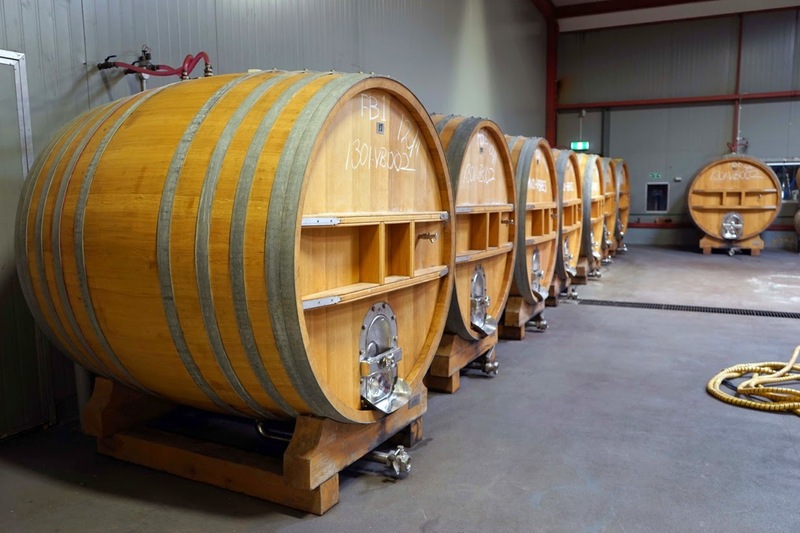 It’s an easy day trip, but you need at least two days to fully appreciate the Yarra Valley – more if you plan on eating your way around it like we did. Our gourmet road trip started like all road trips do: at home. We hired a zippy little Suzuki Swift online using share-car company Flexicar. His name was Hopskotch, and he was chilling out in his allocated spot a breezy five-minute walk from home. We unlocked Hopskotch with a single swipe of our membership card in time for a 9am booking and not a second earlier (we tried). The whole thing was incredibly convenient: petrol is included thanks to the petrol cards in the vehicle and we simply dropped him back in the same spot when we were done. Hopskotch got us from A to B to C, assuming those letters represent wineries, produce stores and restaurants. Along the way the Yarra Valley unfolded before us – where vines were absent, verdant fields dotted with hay bales took their place. Cottages perched atop hills with cows, goats and black-faced sheep meandering below. The weather could not have been better for our drive, or as we watched the sun set from Rae's Restaurant at Balgownie Estate. If you’re keen to take a roadtrip this weekend, Flexicar is offering 15 per cent off hourly bookings up to four hours in length. 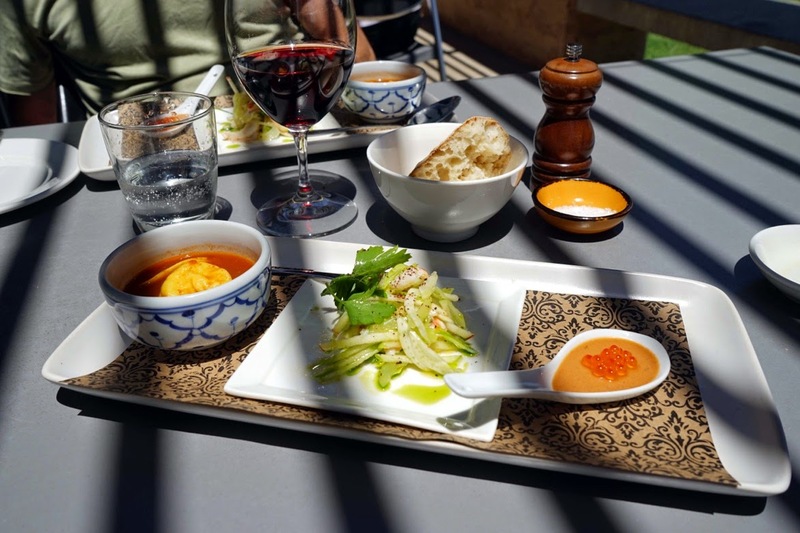 If you have an appetite and the Yarra Valley tickles your fancy, here are the places you should be eating and drinking. 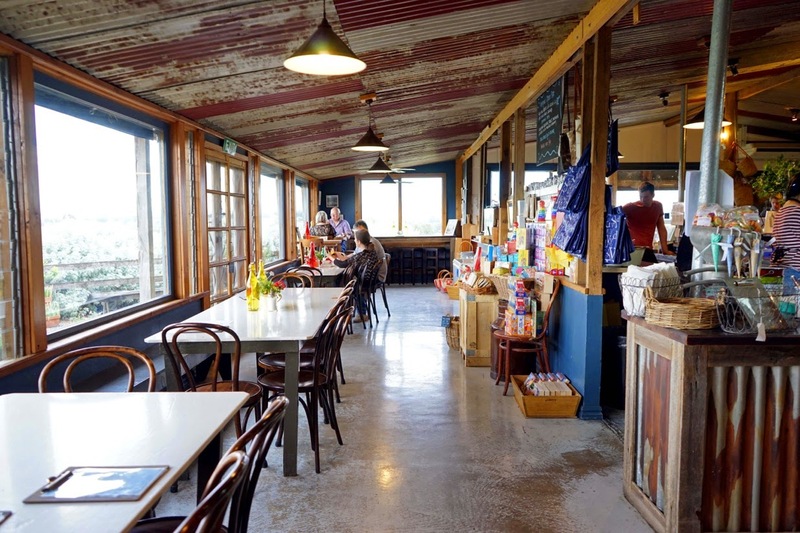 Book ahead before rocking up to Innocent Bystander; this restaurant in the centre of Healesville is extremely popular. Choose a couple of items from the grazing menu to complement your wine of choice (perhaps some salumi, chicken, date and pistachio kofte, or salted cod and potato fritters?) or dig into one of the wood-fired pizzas with regional toppings. There are also banquet menus at $40 or $60 per head if you can't decide. 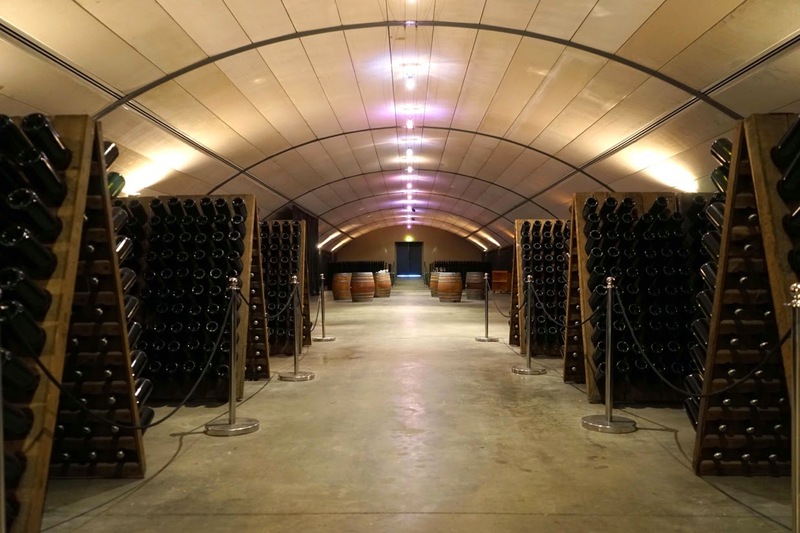 There’s also a bakery, coffee roasting, hand-selected cheeses and wine tastings onsite. The comprehensive wine list is divided into a diplomatic 'Our Wine' and 'Their Wine', showcasing both the best of Giant Steps and wines from other producers that inspire them. Belle Vedere doesn’t use the term ‘seasonal’ lightly. Here, locally sourced produce is not a publicity stunt, but a necessity. The menu changes regularly based on what producers are producing. Vegetables are plucked from the organic garden, bread comes straight from the Bella Bakehouse and the rustic dessert table will make your eyes pop. Dishes such as lamb sweetbreads fried in molasses butter are available in the cooler months, while fluffy ricotta gnocchi with fresh peas is perfetto when the sun is shining. Make yourself at home in front of the open kitchen, surrounded by olive-coloured walls and native flower arrangements. 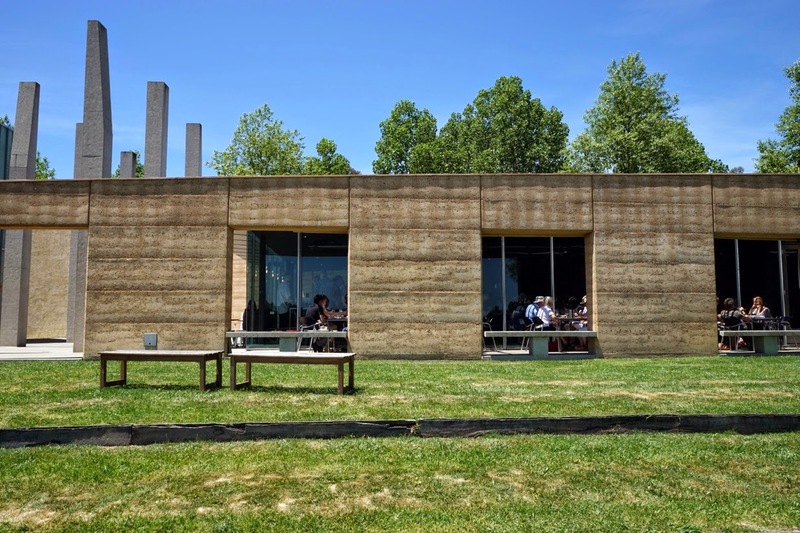 The rolling vineyard view at Oakridge is worth a million dollars, but a two-course lunch will only set you back $50 ($17 for the kiddies, or $60 for three courses). Starters might include spanner crab and Parmesan gratin with pickled cucumber, or beef carpaccio with bone marrow croquette, white anchovy, succulents and black salt. 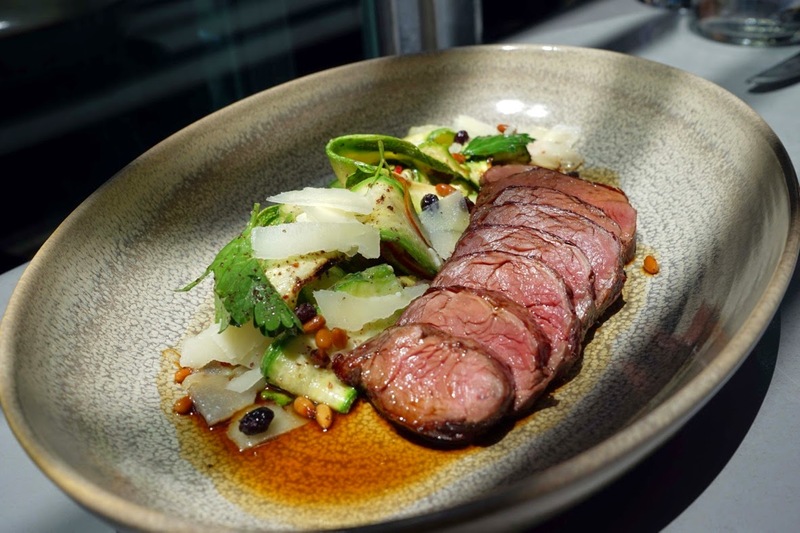 Local produce is flaunted in mains such as the Yarra Valley lamb back strap with bay leaf-infused mousse, as well as heirloom beetroot, Yarra Valley Dairy goat's cheese and spinach raviolo with candied walnuts. Save room for the ginger panna cotta with rhubarb compote and biscotti at the end. 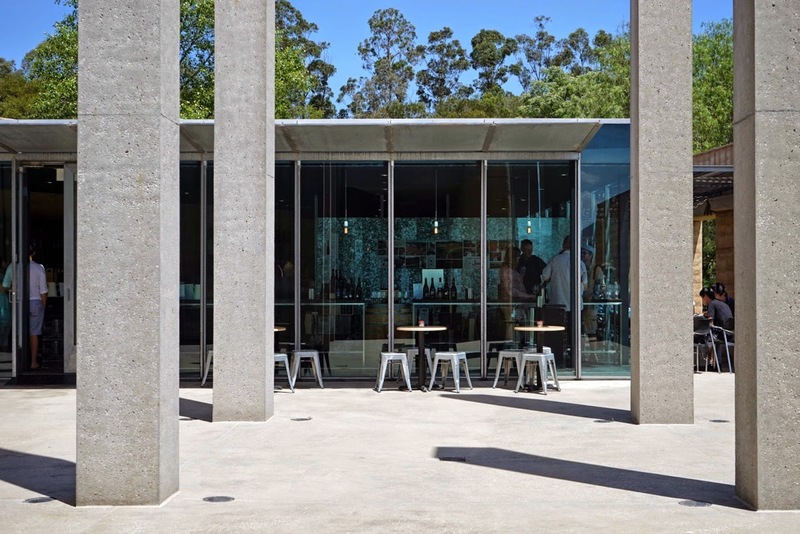 There is so much to love at TarraWarra Estate: the monolithic stone and glass contemporary architecture, a downhill view of the vines and a willow overhanging a bubbling pond, a neat cellar door and an art gallery that’s worth a visit alone. Book ahead and ask for a table outside. Once you’re seated, order from entrees such as hot smoked Yarra Valley trout or specials like yabbies three ways, caught from the pond below. 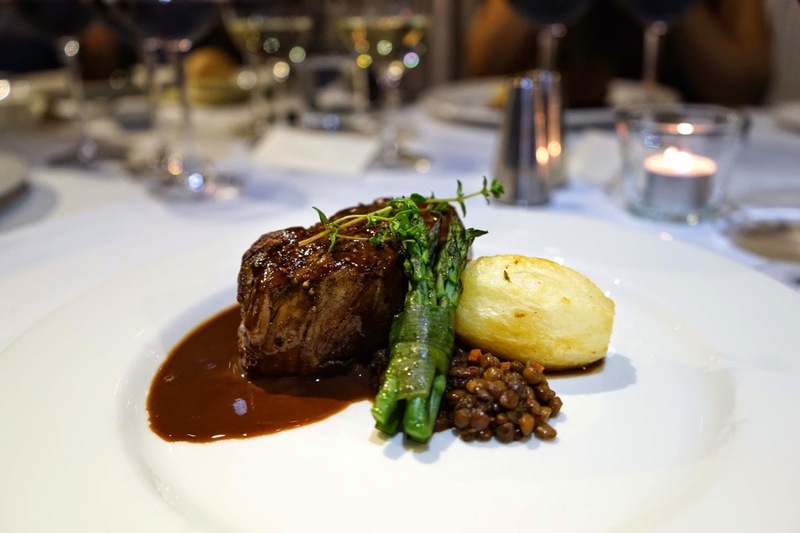 Mains range from salt and sugar-cured duck breast with cannelloni of shredded and confit leg, to barbecue baby chicken with dolmades and flawlessly cooked kangaroo fillet. The Stables is the epitome of country chic with high, red-brick walls and timber finishes contrasted against fine glassware and leather seats. The building dates back to the 1800s, the former stable hand quarters of a local farming community. Come for the regional dinner on Friday or Saturday (from $60 for two courses through to $125 including five courses and matched wines), or pop in for a tapas-style lunch on the weekend. Dishes such as buttermilk chicken with sweet corn veloute appear on both menus, but you can only order marron with compressed peach, crackling and sorrel as part of the set dinner. Slow cooked duck egg with truffle and Parmesan on toasted brioche. Roasted quail with pork stuffing, apple and shallots. Crispy skin barramundi with beetroot risotto, smoked mussels and baby leeks. These are just some of the dishes at Yering Station's superb restaurant. The team certainly makes it hard to save room for desserts such as butterscotch mousse with spied rum doughnuts and lime sorbet. 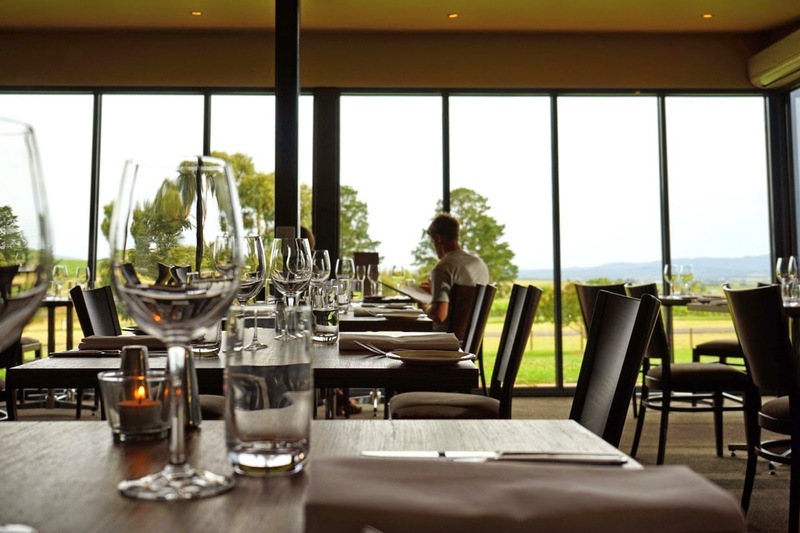 The food is some of the best in the Yarra Valley, to the point where it’s almost enough to distract you from the magnificent vineyard beyond the expansive glass walls. Almost. The dimly-lit dining room at Eleonore’s might remind you of the wealthy grandmother you never had – courtesy of plush maroon chairs and ornate green carpet – but the food is ahead of the times for the region. Five courses are a hefty $125, but you get what you pay for. The menu has an Asian spin, with dishes such as Moreton Bay bugs paired with chicken dashi, kombu and avocado. All the bells and whistles are there too: amuse bouche and a palate cleanser before dessert; perhaps the cardamom panna cotta with poached rhubarb, strawberries and rosewater granita? Locale at De Bortoli is a taste of Italy in the Yarra Valley and a nod to the family’s heritage. The menu sticks to the theme with antipasti, from a salumi selection to kingfish carpaccio. In true Italian style pastas such as pumpkin ravioli with burnt butter and spanner crab risotto come before mains. Larger dishes range from crisp suckling pig to baby snapper fillet with Sicilian caponata and salsa verde. Don’t forget to pick up some Stilton blue from the cheese shop inside the cellar door to enjoy with your De Bortoli Noble One Botrytis Semillon. 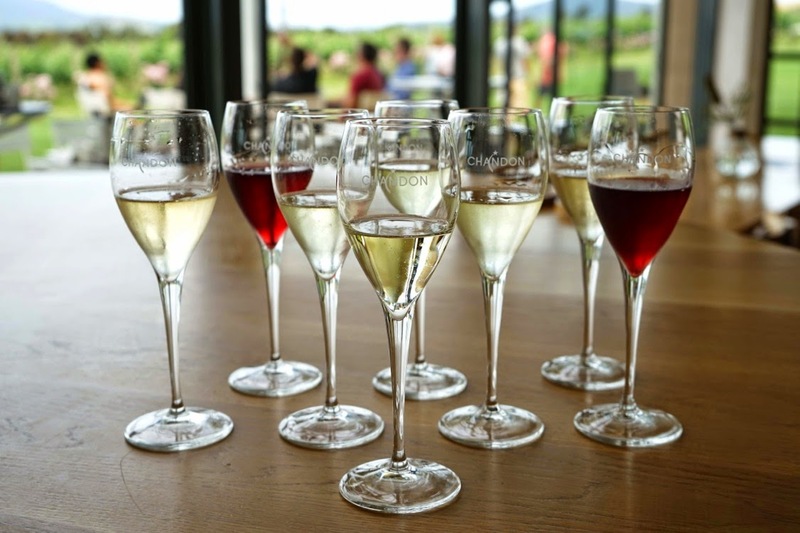 Although you’re better off eating a full meal at one of the above Yarra Valley restaurants, it is essential that you stop in at Chandon’s Greenpoint Brasserie for a charcuterie board or Yarra Valley tasting plate. That way you can sip the afternoon away at the immaculately manicured grounds, overlooking rows of vines flanked by rosebushes. 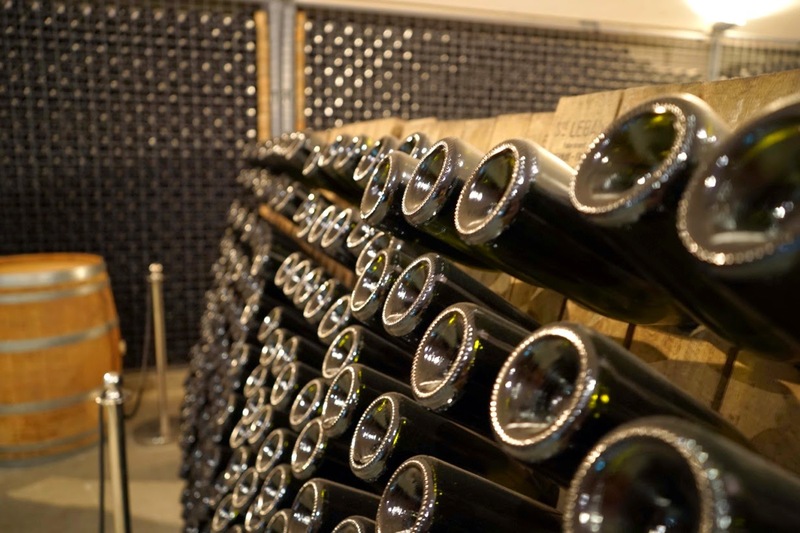 Try the 2009 Blanc de Blancs made from 100 per cent chardonnay, or for something summery, the sparkling pinot shiraz is a best seller. Be sure to stroll around the grounds and take advantage of the self-guided tour. 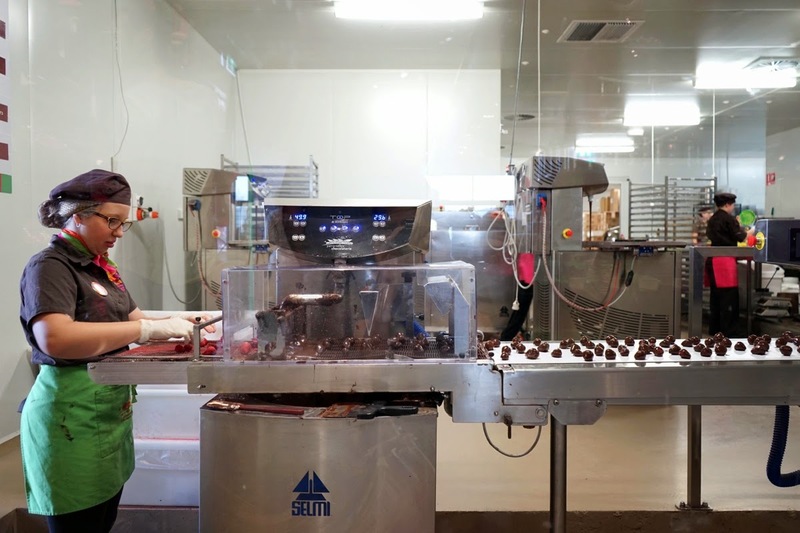 Parents be warned: as soon as you enter Yarra Valley Chocolaterie there are three oversized, stainless-steel bowls piled high with white, milk and dark chocolate pastilles for sampling. 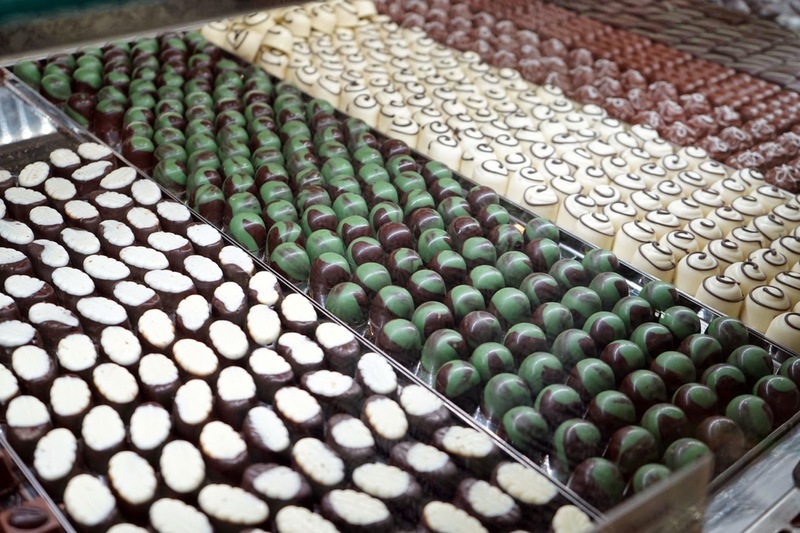 When visitors stop thinking with their stomachs, they head to the glass window through to the chocolate factory, where French and Belgian choclatiers are busy crafting everything from flavoured truffles and blocks studded with fruit and nuts from the property’s orchard, to edible native Australian animals and fudgy condiments. On warm days, sit on the deck and lick house-made ice cream. If it’s cooler, go for one of the indulgent hot chocolates. The pungent perfume of a bona fide cheese factory is the first thing you’ll notice when stepping out of the car at Yarra Valley Dairy. Thankfully the smell doesn’t follow you into the cheese shop, located beside the factory in the property’s original, century-old milking shed. 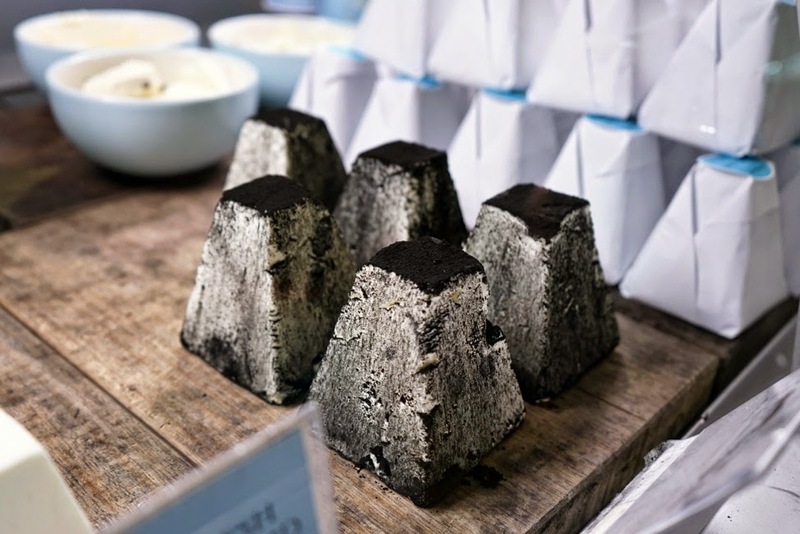 Inside you can sample the goat's cheese range including marinated, matured and fresh varieties. 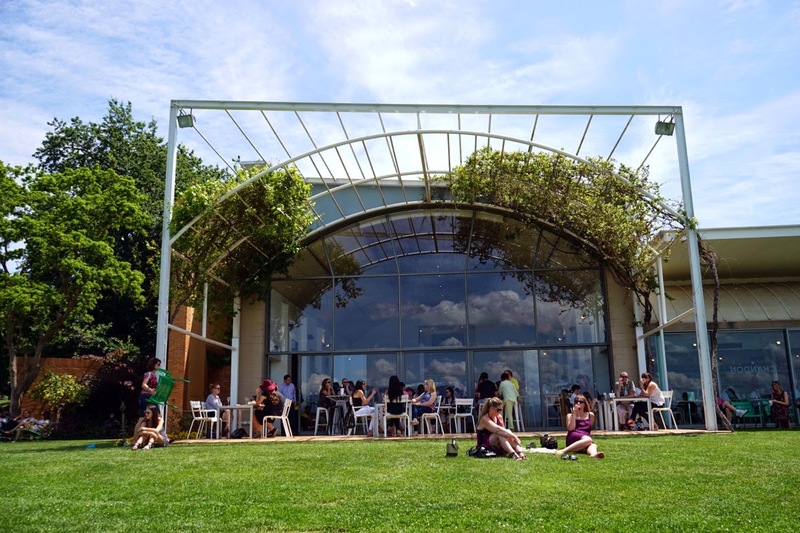 Ask staff to match local wine to your cheese and charcuterie platter while you take in the view, or browse the shelves heaving with homewares and regional and specialist produce. Stop in at the stunning grounds of Yering Station on the third Sunday of the month between 9am and 2pm for Victoria’s oldest farmers’ market. Producers selling everything from pies and preserves to pasta and chocolate are more than happy to chat. Free samples abound, so visit on an empty stomach. 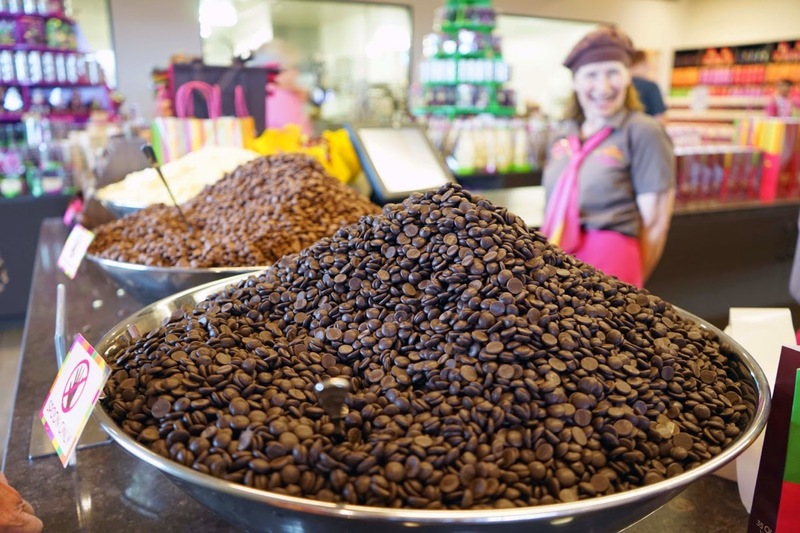 Purchase a pastry with your coffee and explore the beautiful property. Treat yourself to a spa treatment here, here or here. Great blog. Don't you just love Melbourne?! Thanks for the read, makes me want to take a long country drive. Lovely blog..Just enjoyed reading through the words. Perfectly written. thanks for posting..Keep up the good work. Why not to take a fat when its worth taking for ! And this is amazing !! Like any other android game the cool math game junction is free of cost on android phones so you why to waste the precious time playing those wastage games so here you can try playing the game with your friends and family members. You can make this game playful by asking out your friends to play this game in a gathering or a in party so here is how you can enjoy the math games to the fullest . G club Entertainment site with many games to play. To play all the fun, easy to gamble yourself every day. And there is a play. Bet at all Make more money with gamblers who choose. There are realistic gamblers who like to gamble every day. Good gamblers make more money. I like to gamble every day. In addition, it has a lot more to eat not choose. Not only does it help increase weight and fat. But there are diseases that will visit people who do not care. Eating foods that are "sweet - it - salty", resulting in chronic non-chronic diseases. Nowadays, we get the energy from the main meals and snacks, resulting in excess energy.